The Ultimate and Premier Equestrian Facility and former home of Ro and Me, LLC. Unsurpassed attention to detail and design. 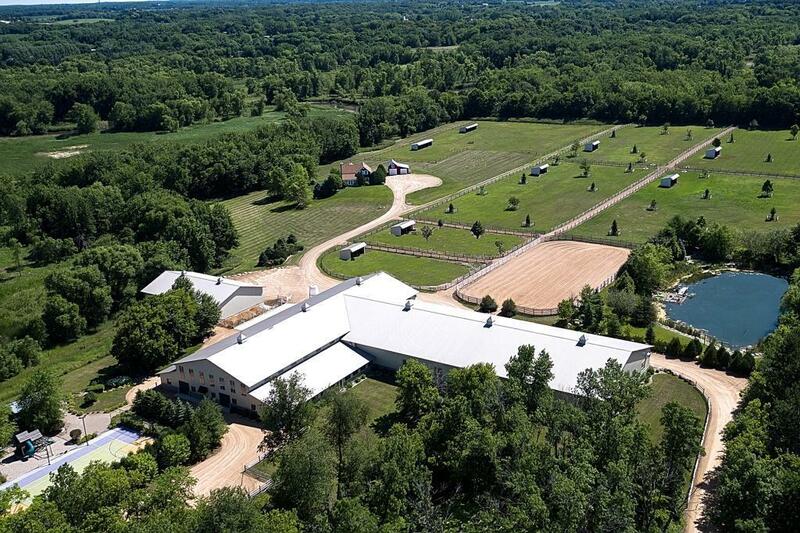 90 acres, with "State of the Art" Ebert 2008 built, 40 stall heated horse stable, heated 80'x178' indoor arena, outdoor ring, ponds and recreational areas. Every possible amenity included. Charming, beautifully updated "Turn of the Century" farmhouse: reclaimed wood flrs, 2 frplcs,6 bedrooms... Spectacular in every sense. Experience complete privacy and nature at its best!